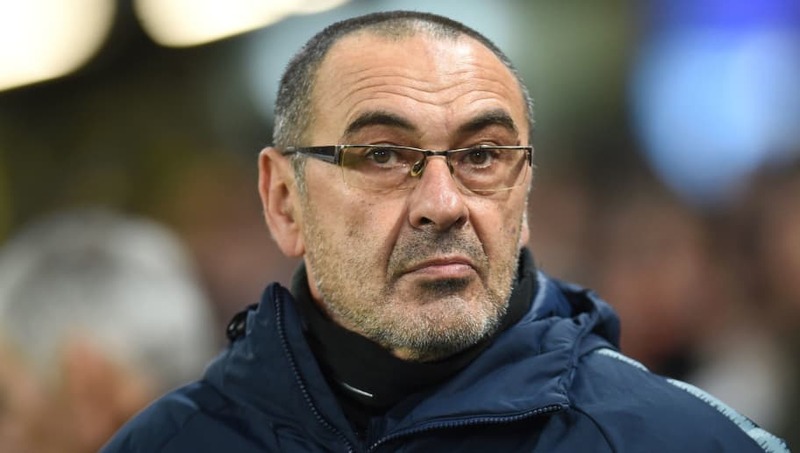 ​Chelsea boss Maurizio Sarri has admitted that he used to watch Claudio Ranieri’s Blues side between 2000 and 2004, following the meeting between the two Italian tacticians which saw Chelsea beat Fulham 2-0 on Sunday. The current bearer of the managerial reins at Chelsea has revealed that he has a detailed history with compatriot Ranieri, whose Fulham side provided Sarri’s opposition at Stamford Bridge on Sunday. Sarri has even revealed that he once visited the now-​Fulham boss when Ranieri oversaw Serie A side Fiorentina in the late 90s, to see how his fellow Italian worked. As quoted by the ​Independent, Sarri admitted: “Yes, of course [I watched Ranieri’s ​Chelsea]. “Not like now, because 20 years ago it was more different [to watch the Premier League in Italy]. Now it’s very easy, with television you can see every match of the Premier League in Italy. 20 years ago you were able to see no more than one match a week. “Usually a team of Claudio is really very solid. They usually defend very well, sometimes low, but very well. Usually he has a team very dangerous at counter-attacks, like in ​Leicester [City], but not only in Leicester. “I went to speak to him when he was the coach of Fiorentina, 20 years ago, maybe. I don’t remember very well, but I don’t think he can remember this meeting. “Then, as I told you, I spoke with him for three days – I don’t remember exactly – one month ago, or 45 days ago. He came to Cobham to see two, three trainings. Sunday’s meeting between Sarri and Ranieri provided a far more competitive and intense nature, in which Chelsea maintained their push towards the top of the Premier League table, against a Fulham side which are still struggling at the bottom. Ranieri was pitted against not just one familiar face in Sarri, but also another compatriot and former star of his old Chelsea side, Gianfranco Zola. The former Blues forward is now Sarri’s assistant at Stamford Bridge. With subplots aplenty and both sides in great need of the points, Sunday’s meeting resulted in another strong Chelsea performance in which the Blues recovered from their defeat to ​Tottenham last time out and continued their encouraging start to life under Sarri.